Where is their life headed? The world seems to be shifting on its axis! Young Rordan is compelled to leave home and pursue his education as an alchemist. His rambling brother Fikna decides to tag along on the journey. Kea and her strange posse menace the brothers every step of the way. Every adventurer needs a helper and Rordan finds it in Borus, a strange creature he befriends as the brothers travel through Selta, to a region where alchemy still flourishes. En route through Selta Rordan acquires a cryptic map which like a crystal ball changes each time you look at it. Glenys, an apprentice in alchemy joins the brothers adding her skills in and knowledge of the supernatural. When Rordan gets assigned to Master Beag perilous connections to the powers of darkness emerge. 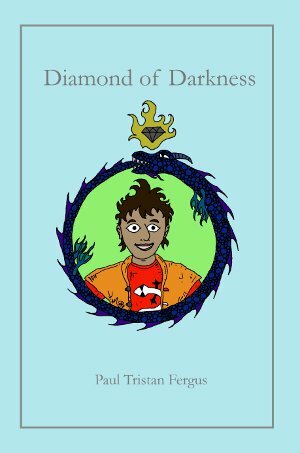 Join the adventurers as they confront a hostile world where in a matrix of magic the brothers and their friends struggle to bring consciousness to a world cast in darkness. Smashwords has epub and all sorts of other versions of the book for free! The Diamond Island is powered by	WordPress 4.9.10 and delivered to you in 0.570 seconds using 29 queries.